Chateau Briand is a beautiful wedding venue and banquet hall in Long Island, located on Old Country Road in Carle Place, NY. Shanna & Steve had a reamarkable wedding day. The getting ready all started in Brooklyn at the brides home where we met up with one of our favorite vendors to work with wedding & event planner Couture Creationss where the bride was getting hair by Tanya Moshe and bridal makeup by makeup by Rada and then they headed to the Old Westbury Gardens for their wedding photos with the bridal party. 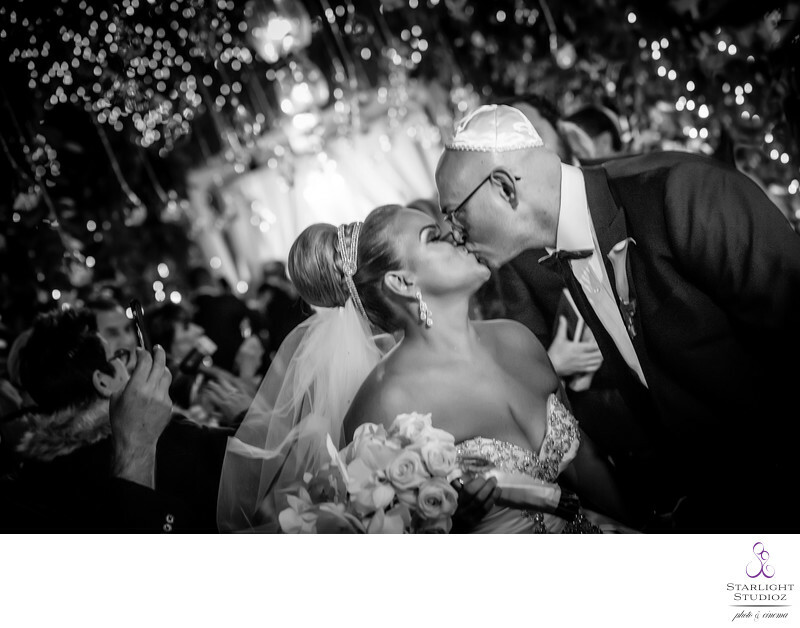 It was perfect fall wedding day then they head to the lavish venue in Long Island. Their wedding ceremony & reception decor was designed by the New York wedding florist Events by VF. During their jewish ceremony led by Rabbi Asher Altshul the drone flew above capturing a different angle for the NY wedding film. Rabbi Asher is one ofht funniest rabbis its always a pleasure when we get to see him in action at a wedding ceremony I love it when he ask the groom, so are you sure about this there is time you can say mommie, I'm not ready I want to go home. It makes all the wedding guests and myself laugh. He has a way of talking about religion in a way that even non-religious and/or non-observant jews can relate and enjoy. Later, at the reception there was non stop dancing to the singing of D & E Entertainment led by Douglas Genuard & Eddie Ganz and MC Gary Gazarkh. The Leonardo Da Vinci banquet hall at Chateau Briand has been recently renovated with Swarovski Crystal Chandeliers and is the largest of all the rooms in the venue being able to accommodate up to 400 guests for your wedding. Many wedding venues in Long Island have carpeting, but this room has Brazilian hardwood flooring making it quite different than many others. Location: 440 Old Country Rd, Carle Place, NY 11514.